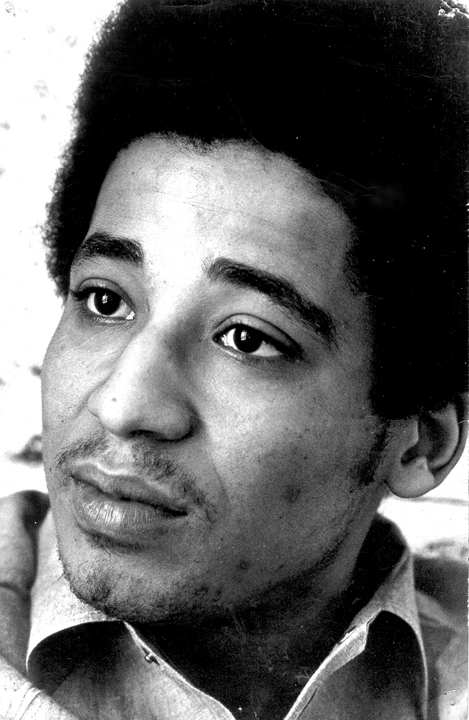 George Jackson spent ten years behind prison walls: from 1961 to 1971. During this period, Jackson became a revolutionary warrior for Black liberation and socialist revolution. Jackson’s life matters now more than ever. Jackson was from Chicago, but his rebellious spirit and run-ins with police compelled his parents to move to the West Coast. Soon after, Jackson was charged with robbing a gas station in Los Angeles. Despite evidence of his innocence, the court encouraged Jackson to take a plea deal and “rewarded” him with an indeterminate sentence of one year to life. What transpired afterwards was the ruling system’s worst nightmare. Jackson became a committed revolutionary and student of the ideas of Marx, Lenin, Mao and Black revolutionaries from Malcolm X to Kwame Nkrumah. He practiced these ideas by organizing Chicano, white, and Black prisoners against the repression and exploitation behind prison walls. His manifesto, “Blood in My Eye,” is a theoretical analysis of the ruling imperialist system and a strategy for liberation from a Black communist perspective. Jackson’s revolutionary transformation came with consequences. He spent over seven years in solitary confinement, including extensive time in the infamous “O” wing, where prisoners were forced to sleep and eat in their own filth. Jackson’s case received international attention. Revolutionary organizations such as the Black Panther Party came to his defense. His case inspired his 17-year-old brother, Jonathan Jackson, to free the “Soledad Brothers” — his brother, Fleeta Drumgo and John Clutchette — by storming the Marin County Courtroom and kidnapping the judge and his aides. Jonathan Jackson was killed in this attempt, but his actions strengthened the Black liberation movement by bringing numerous supporters to the growing prison movement. These words indicate that Jackson was an internationalist who drew from the global struggle for inspiration in the fight against the U.S. ruling class. 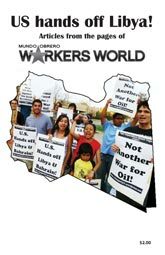 “Blood in My Eye” is a call to join the rest of the world in the war against U.S. imperialism. It builds on Malcolm X’s belief that revolution in the U.S. is dependent upon solidarity and support from the world’s people, and vice versa. Today, the same U.S. imperialist system remains dominant throughout the world, but with riper conditions to spread its misery. Black America is in a worse economic state than it was in Jackson’s period, and so too is the state of the entire working class. 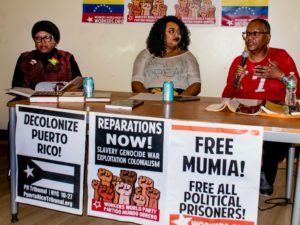 The mass Black incarceration state locks poor Black Americans away from a capitalist economy that no longer needs their labor and to repress the development of Black revolutionary activity. It was Jackson who developed a foundational theory of the prison state in relationship to the design of the imperialist system. He succinctly summarized the purpose of the mass Black incarceration state: “The ultimate expression of law is not order — it’s prison. … The law and everything that interlocks with it was constructed for poor desperate people.” Jackson traced the development of the mass Black incarceration state to the U.S. government war on the Black Panther Party, which Jackson joined while in prison. Jackson’s analysis was informed by the brutal repression he and the Panthers faced. It was also solidified by what he saw as the changing character of U.S. prisons into an institution specially made for Black people. His tireless study of history should be emulated by all self-identified freedom fighters. For example, “Blood in My Eye” provides a historical materialist analysis of fascism’s development in Europe and its application to U.S. imperial development in the post-World War II period. But perhaps the greatest gift Jackson gave was his deep knowledge of strategy and organization. Throughout “Blood in My Eye,” one can find entire sections dedicated to urban guerrilla warfare and political organization. 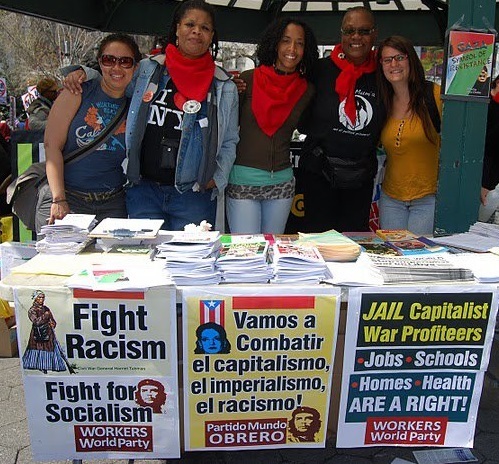 Jackson concluded that a revolutionary movement required three elements: an above ground organization that carries out political work, an independent media and an underground organization committed to creating crises. He emphasized that without ideology and demands, those attracted to the struggle for justice will merely become “Amerikans” again after each political activity. The revolutionary task was to develop soldiers for freedom. Jackson’s skill and revolutionary ideology inspired the insurgent prison movement of the 1960s and 1970s. When Jackson was murdered, Attica prisoners fasted in tribute to his life. A week later, they waged a heroic rebellion for dignity, popularly known as the Attica Rebellion, and were subsequently massacred by the state. One of his most important contributions is the work he put in to build unity among the oppressed and clarity on the character of the oppressor state. Although much has changed and revolution seems remote, imperialism is currently in its most vulnerable stage. Global forces are moving away from imperialist hegemony and capitalism’s periodic crises have become more common as they have become more acute. We must introduce revolutionaries such as George Jackson in any conversation about building a radical movement so that more like him can develop. Danny Haiphong is an organizer for Fight Imperialism, Stand Together (FIST) in Boston and a regular contributor to Black Agenda Report.